Carey Quick Parts is the specialist parts division of Carey Industrial. Our dedicated parts team are experts in sourcing the right parts for your machine, quickly and efficiently, minimising down time. At Carey Industrial we can supply parts support for your fleet of truck mounted cranes, forklifts, hooklifts, skip loaders, material handlers, container sideloaders, on highway trucks and anything attached to them in-between. Whatever the brand or application Carey Industrial can provide you with parts support to get your machine back online fast. 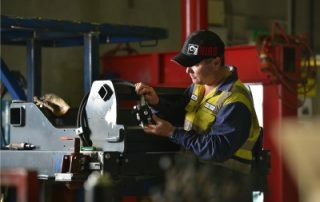 Carey Industrial is one of the Australia’s biggest authorised spare parts dealer for the complete HIAB range of machinery and equipment. 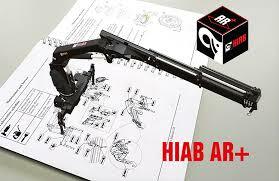 HIAB is the world’s leading provider of on-road load handling equipment. 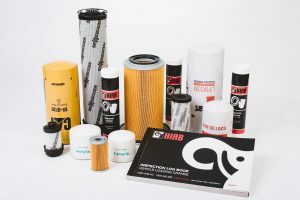 Carey Industrial stock and can supply the full range of Genuine Hiab parts for anything from a 1970 650AW through to a brand new X-HiPro 1058, either visit us in our Archerfield showroom or have your parts shipped direct to you, the choice is yours. Carey Industrial also provide same day air freight and point to point courier services ensuring you’re without your Hiab for the shortest time possible. Need to make your crane work better for you? Carey Industrial can help, we can provide solutions ranging from additional manual and hydraulic booms through to remote control conversions, power pack to pto conversions and everything in between. STEELBRO are manufacturers of innovative container handling equipment for the transport industry. STEELBRO are world leaders in the production of sidelifters with an international reputation for superior design innovation and manufacturing excellence. As an authorised Steelbro dealer, Carey Industrial can supply an extensive range of replacement parts for a wide variety of swinglift container side loaders to enable quick and efficient servicing and repairs. If items are not in stock they can usually be acquired in 24 hours. Sennebogen for over 50 years have produced state of the art, high performance, purpose built materials handling machines with extra long service life which require low maintenance even under the toughest conditions. 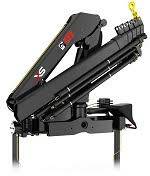 Carey Industrial is an authorised parts and service dealer for Sennebogen material handling equipment. Partnering with Australia’s green line importers Pacific Materials Handling, carey Industrial stock & supply genuine Sennebogen parts for the complete Green Line recycling product range. 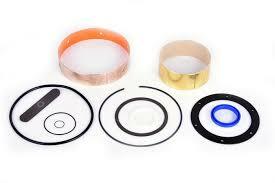 To learn how we can keep your Sennebogen performing like new contact our trained parts professionals now.